Polish rabbi; died in Lemberg Aug. 7, 1796. He was probably a native of Dobromil, and was at first rabbi in Sale and afterward preacher and rosh bet din in Lemberg, where he remained until his death. 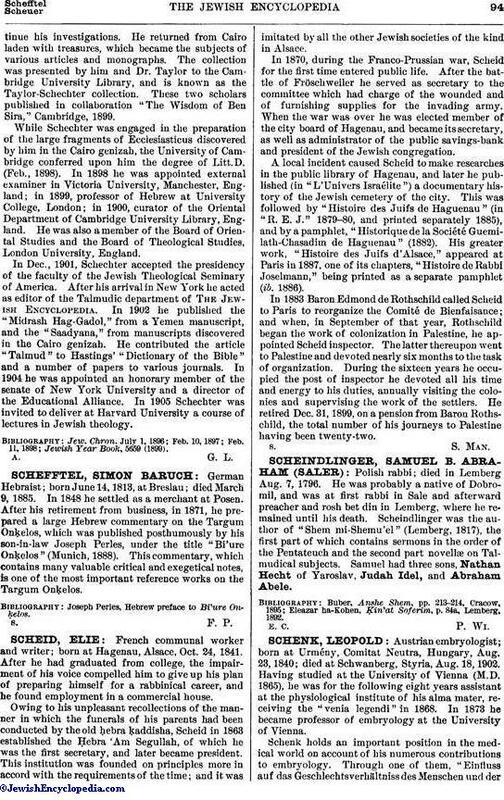 Scheindlinger was the author of "Shem mi-Shemu'el" (Lemberg, 1817), the first part of which contains sermons in the order of the Pentateuch and the second part novellæ on Talmudical subjects. Samuel had three sons, Nathan Hecht of Yaroslav, Judah Idel, and Abraham Abele. Eleazar ha-Kohen, Ḳin'at Soferim, p. 84a, Lemberg, 1892.